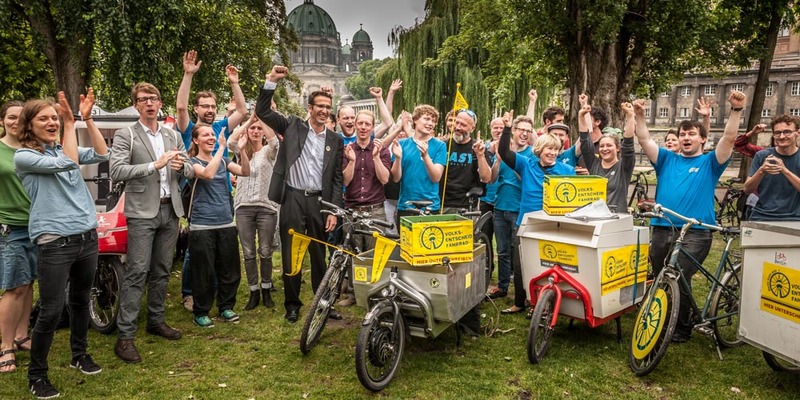 Donate now: 100.000 for the bike law! 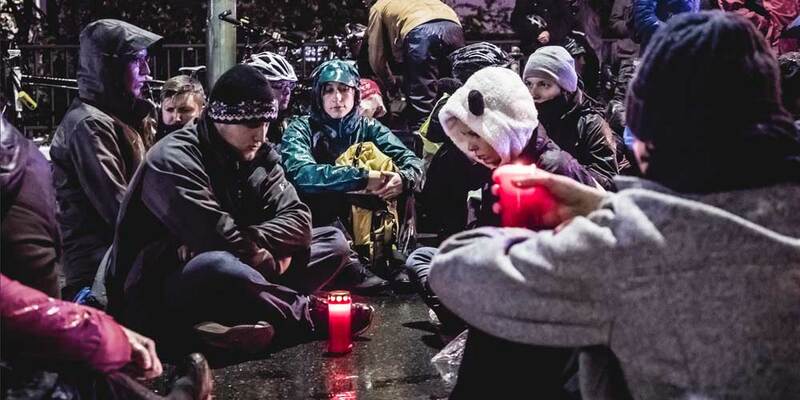 On average in Berlin a cyclist is killed every three weeks. 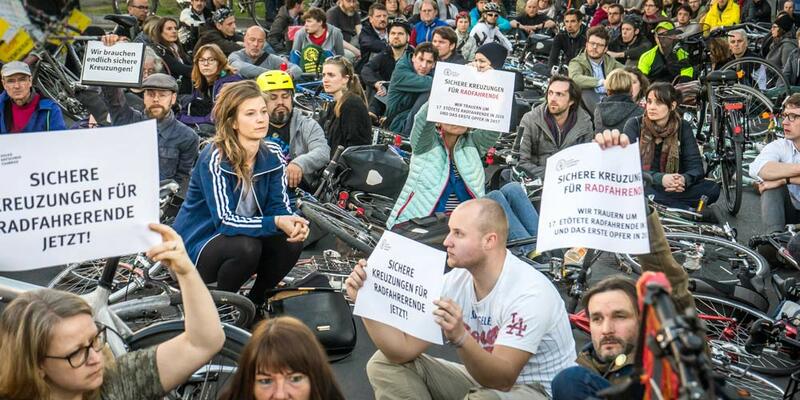 Any delay in not having adequate infrastracture endangers the lives of other cyclists, makes bad air and leaves the climate goals of Berlin in the far distance. Thats why we drew up a law the “bike law” (RadG) and succesfully filed a petition that was signed by 105.425 people requesting a sustainable city. Berlin now needs this bike law to come into force. 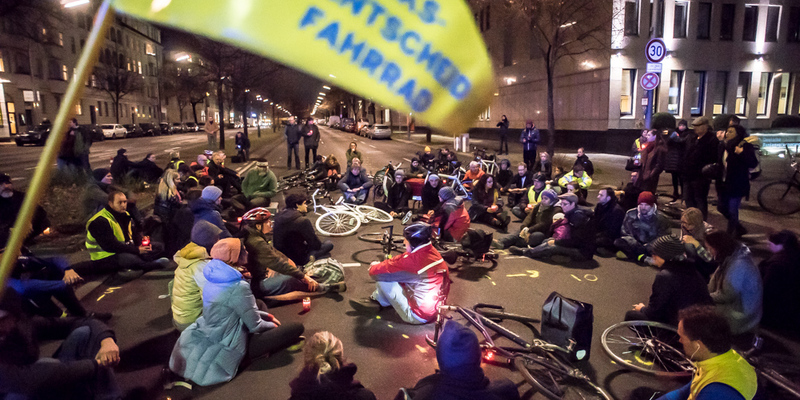 For the good life in Berlin, for safe and relaxed cycling, for a just an peaceful coexistance on our streets, squares and sidwalks, thats what we have been working for under strong pressure, full of motivation in thousands of hours in an honorary capacity since end of 2015. Now we need full-time support in our team to continue this work. We will continue with our strong communication campaign of posters, flyers and other campaigns about which Berlin speaks. 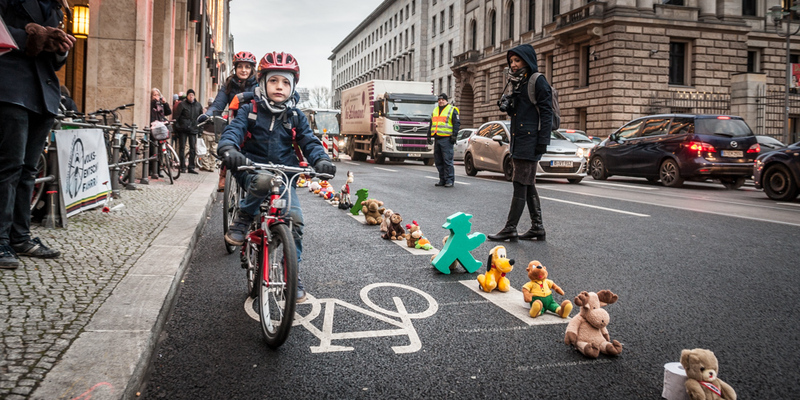 A campaign that convinces even more Berliners of the advantages of our bike law and lures other cities to imitate. Help us with your generous money donation (tax deductable)! Keep up to date via Facebook, Twitter and via the newsletter. Learn more about the process and schedule. 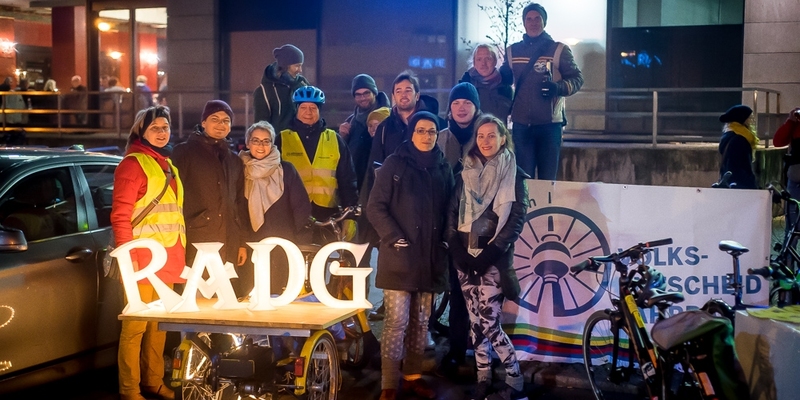 Für unser Projekt Volksentscheid Fahrrad haben wir den Deutschen Fahrradpreis 2018 gewonnen! Am 22. Februar durften wir die Auszeichnung in Essen entgegennehmen: Platz 1 in der Kategorie Kommunikation. Am 1. Dienstag im Monat treffen wir uns in der Ver.di Mediengalerie - komm vorbei! Bei Fragen erreichst Du uns unter info@rad-ts.de.